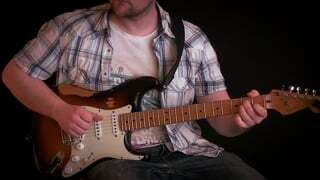 great lesson, a pleasure to play those cool blues licks. can't wait for the next two lessons. OH MAN, AWESOME!! This was exactly what GMC needed, more blues lessons, this was really great. THANK YOU! Great stuff, and i love your tone, what kinda amp you using? In this lesson I'm using the Marshall valvestate 8080 amp. Nice lesson! My favorite by you so far! I think you should do a bluesrock lesson sometime too! Sweet blues lesson...looking forward for some more! Thanks! Awesome Lesson, in my opinion the best lesson, thats true music. Thanx for that! I usually don't like blues, I never listen to them. 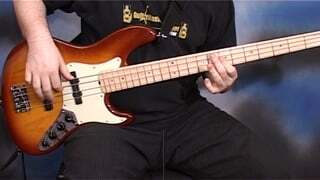 But playing them is something I find myself doing alot, and I really, really like this lesson! But I still find your other lessons great! In find this lesson great! 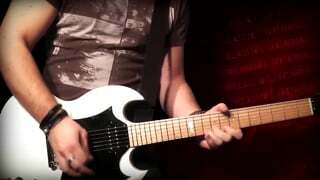 Blues licks are beneficial for everybody interested in any aspect of shred/rock guitar, in my opinion! I respect your opinion ezravdb but I agree Kris. This kind of licks are necessary for every beginer guitar player. If you know them you can miss this lesson and wait for my new yngwie lesson. But please: Don't become a mechanical player. We don't need machines. You should never lose the feeling. To hear a view on the other end of the spectrum, this is my favorite lesson on GMC so far, and the only one that I memorized note for note. The other lessons are perfect for learning and practicing new techniques, but this is the first one I'd call music. It's also the first one a beginner could play through at full tempo without having to lock himself in a room for 5 years with a guitar and a metronome. Hope you make a lot more lessons like this! Gabriel, this is an absolutely great lesson. This really hits on the phrasing of the blues and making the guitar talk. 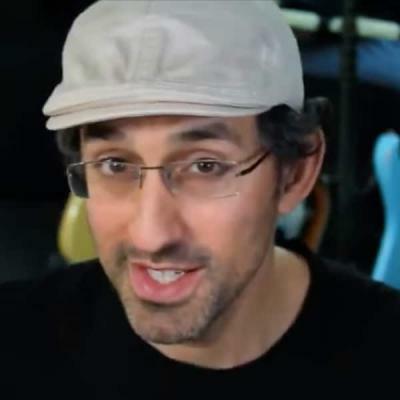 Are you going to contiue with a series of blues lessons? That would be great! Thank you Rob wylde and Radarlove! I'll do more blues lessons. i checked hot blues licks lesson and...WOOPS I was wrong.. I'll agree with bricktop. This is more my style then say something like Malmsteen or Vai...even though they are both fun as HELL to play in! dude thats freakin aweasome love anything bluesy,you guys should try some stevie ray vaughan,good job Gabriel,keep it coming!!!! What do you mean with "Tuning: Am"? It's wrong. A minor pentatonic is the scale I'm using. The tuning is E - A (440) - D - G - B - E.
great lesson, gabriel for my taste i think the fast parts should be before the slow ones. maybe it is only me. Excellent lesson. Nice to see some blues. More please! Hi chainsbroken! Please ask Kris about it. 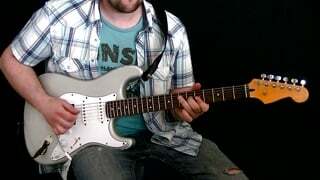 This is my favorite lesson so far, the Stevie Ray Vaughn/Jimi Hendrix influence can be easily heard, keep it up! where is blues lesson 2? Great lesson! Looking foward to the next lesson. Great song, dude! I really like this one. Is there gonna be a lesson 3 too? This is some of the greatest materials here on GMC. I have a question: do you use alternate picking throughout? I'm having a lot of trouble mapping the sections of the song onto the backing track. In particular, I just can't work out the timing for the second section. I'm also finding that 100bpm is a real challenge for me right now, it's be great if we could slow these tracks down a little using the player. Lots of feeling and timing without involving a great degree of difficulty. Thanks, I relly enjoyed this one. I really like this lesson alot but i'm having a hard time getting the timing right with the backing track. i dont know if i just didnt practice enough or i'm doing something wrong. No, I also repeat downstrokes in some parts when I what to get a more accentuated sound. Check the slow parts. I'm going to do the GP TAB. I think that it would help you because you can change the tempo. You should practice each part slowly in order to improve all the tecnical problems. Then, I will do the GP TAB to help you with the timing. 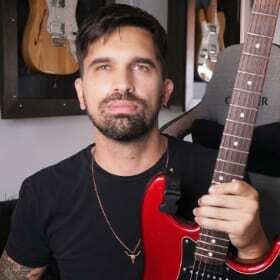 Heres to my favorite Blues lesson on this site!! Love That Blues More Please!! 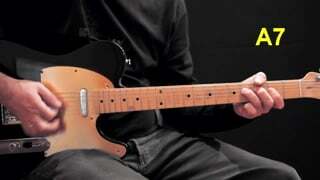 All of your blues lessons sound amazing, and this one is no different. Can't wait to get these licks down. Thanks for another awesome lesson! Thank you guys!! I'm glad to read your nice comments! Yeah please add more blues, keep rockin! SWEET! I just mastered part 6 of this lesson. Getting it PERFECT was eluding me until I watched your hand like a bazillion times and realized the G string really has to be bent hard and fast like a... uhm... nevermind. Anyway, thanks for the lesson! Love this lesson.. Gabriel how long do you think someone should have been playing to be able to nail this? I have been playing for a week and really struggle with part six. Do you think it is just that I need more time or I should try playing something simpler first? Hi snake! You should keep practicing this lesson and also try others easier and more difficult. I used to to that. I'm struggling a bit with the second part. It's hard to tell from the video but are you just using your second finger for support during this phrase?? Btw, In your video 6, where u repeat 4 times 7 -5 -5 is not correct to the main video i think, because in ur main video u only repeat it 3 times? the trusty blues box spice up! I always love your lessons. This is another gem. You're such a versatile player & can pretty much do whatever you want on that guitar of yours. Great blues lesson! Helped a lot! Just what I needed. Thanks for the extended Backing Tracks! Gabriel, I love the your tone on these blues licks. What are you using for amp, guitar, and effects? I can't duplicate your tone with my Les Paul, Traynor Yrm-1, and overdrive pedal. Thank you man! I used my gibson les paul studio conected to a marshall valvestate mod. 8080 and recorded it with a shure SM-57 mic. I think that you can get a similar sound with you current setup. Thank you Kenny! I see that this is your first post at the forum so WELCOME to GMC! hm, isnt there a GuitarPro-file??? Hi! I checked the full tab with the video and everything looks good for me. Where do you find a mistake? Hey friend! Welcome to the forum! Thanks for notifying about this... I will fix it! 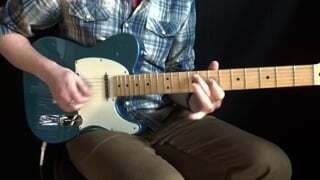 I think, this is a great lesson,which covers essential knowledge and makes fun to play.I am new to GMC and there seem to be some fantastic lessons.But this is the lesson to start with before trying to get a Shredmaster. Hi there! Welcome to GMC!! Thanks for your comment! Please let me know if you need some help or assistance! hi gabriel, nice lesson. very helpful! 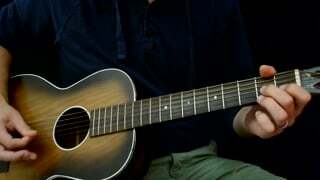 can you tell me wich chords did you use to record the backing tracks? tks! Learn more about blues theory HERE.